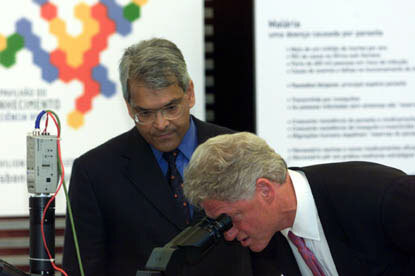 The President looks through an electronic microscope at the Pavilion of Knowledge Science Center. 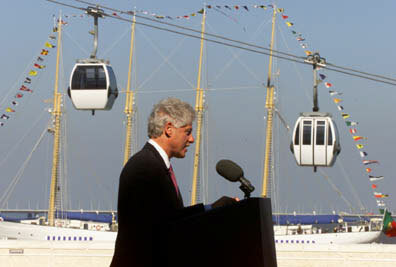 The President makes remarks to the Science Community at the Park of Nations. 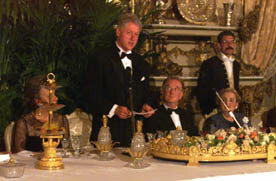 The President makes remarks before the State Dinner, hosted by President Sampaio at the Ajuda Palace. 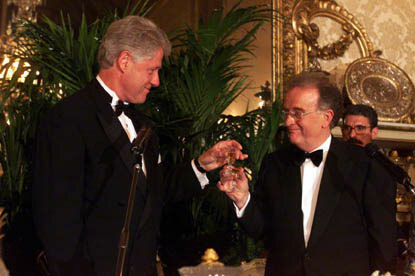 President Clinton toasts Portuguese President Sampaio at the State Dinner.